Join internationally recognized and scientifically certified psychic medium Joanne Gerber as she reaches beyond the veil for an opportunity to connect with loves ones on the other side. 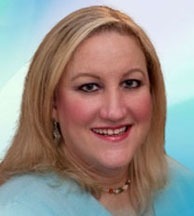 Joanne Gerber is a profoundly gifted psychic medium and spiritual teacher who has gained recognition and certification for her natural ability to bring through evidential messaged from loved ones passed. Come and experience the healing and messages that our spirit loved ones want to communicate to us. Joanne will dedicate a large portion of the evening to random audience messages from loved ones passed through which she will provide the continuity of life after the change called death through her extraordinary gift of evidential spirit communication. 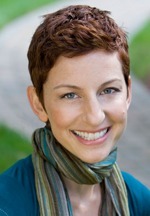 For more information about Joanne, please click here. Intuitive Consultant Danielle MacKinnon reveals the Soul Secrets holding you back from living your life brilliantly. Learn how Soul Contracts are energies put in place by YOU that can stop you from finding love, succeeding in your career, believing in yourself, feeling supported, opening your psychic senses and more. You might even recognize which contracts are “blocking” your path and then break free of them through the live group clearing! Danielle will dedicate a large portion of the evening to random audience Intuitive Soul Contract Readings through which she will help you understand and work with these hidden energies at a deeper level. ***Although this event has passed, you can find more classes, workshops, and live events with Danielle here. My husband Ricky passed 4 years ago and my Mom passed 2 years ago. How are they. Anything I should be doing down here to help them. What is my soul contract? My Mom just passed, on her birthday, on March 21st.How is she? Is ot too early, after her passing, to attend your event, IF I am blessed enough to actually win the two tickets? By the way, neithe your page or Danielle’s allowed for conteat entry. Can you help by sending/posting oordirecting me to the entry form? Blessings.